Having a company that you can rely on for your HVAC needs such as products, support and technical training is an important factor in providing the best outcome for your clients. This has allowed us to become one of the largest building control and automation suppliers in the Midwest. At Jackson Control, we are dedicated to understanding our customer's needs so that we can provide unmatched product knowledge, technical support and exemplary service. 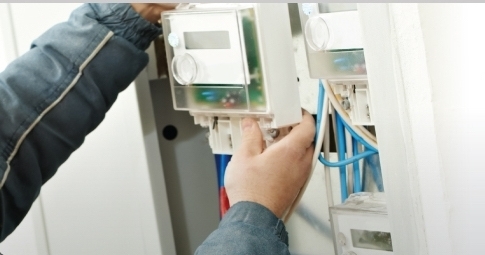 Our customers can count on us to support their success in building automation and controls. The team at Jackson Control is experienced and prepared to offer our services for job take-offs. We understand that contractors, engineers and architects are asked to provide pricing estimates for HVAC and mechanical segments of projects. After working with you to determine the scope of your job, we will provide a quote for your bid that is a realistic estimate of what will be involved. Panels built in Jackson Control's UL 508A listed panel shop are built to the highest standards and use the most advanced technology available. Our UL-listed panels are built for safety and reliability. We custom design our panels to fit your needs and then build them with hand-picked components of the highest qaulity and carefully labeled wires. Whether you're implementing a new system, retro-fitting an old building, or optimizing HVAC performance, building expertise is need to make the system work within the context of your building facility. HVAC systems are constantly evolving and becoming more user friendly and efficient, finding a strategic partner that can help you every step of the way becomes an imperative.